A call-to-action (CTA) is a button or link placed on a website to drive prospective customers to convert to leads via a landing page form. Place your CTA in a location where it's easily visible to your visitors and makes sense for someone to click it. 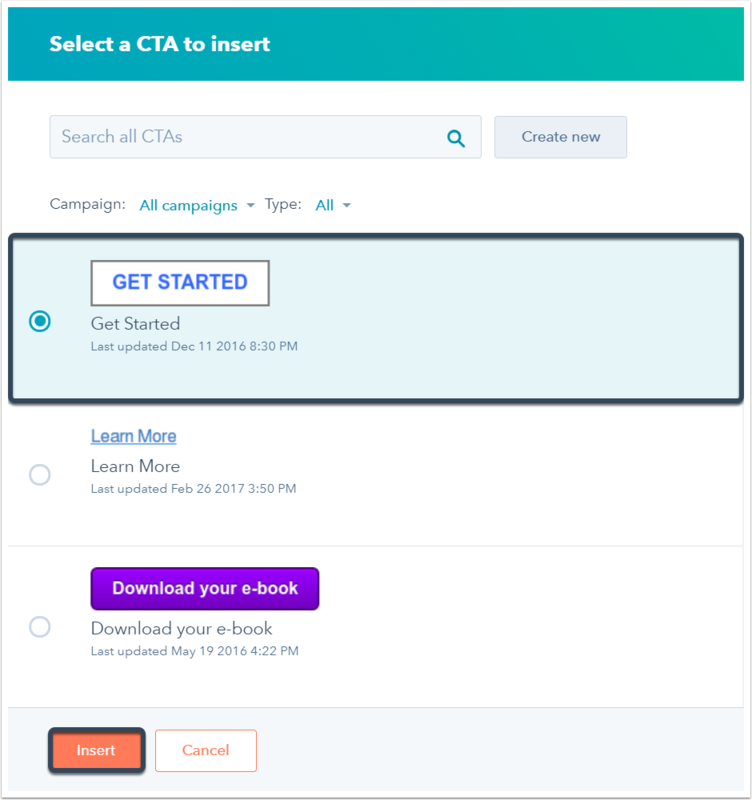 For example, you might place a CTA to start a free trial under a product description. In your HubSpot Marketing Hub Basic, Professional, or Enterprise account, navigate to your blog, email, landing pages, or website pages dashboard. 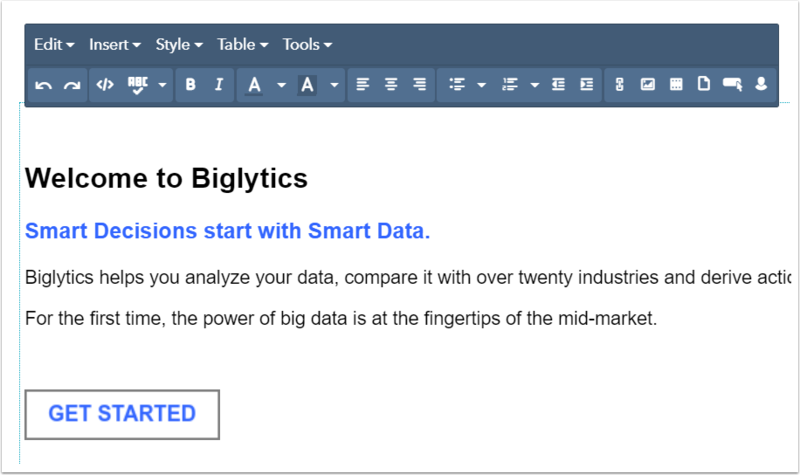 Hover over the blog post, email, or page to insert the CTA, then click Edit. 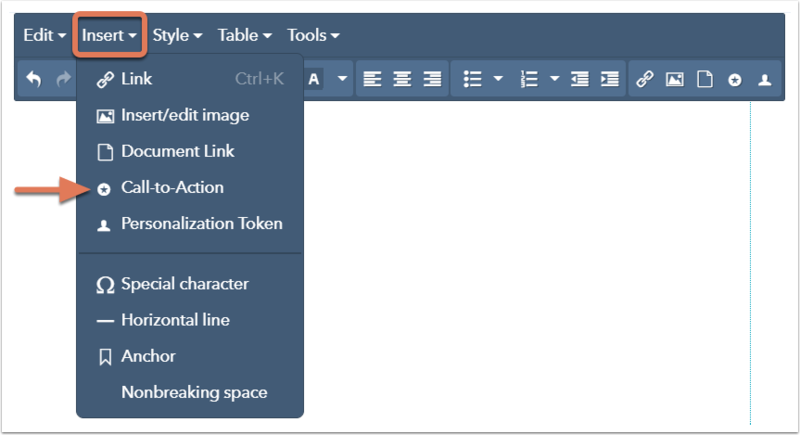 Locate a rich text module in the content editor. Place your cursor at the location to place the CTA, then click Insert > Call-to-Action in the rich text toolbar. In the right pane, select the CTA to insert, then click Insert. The CTA will now appear in your rich text editor and in your page preview. Click the CTA in the rich text editor to edit or delete it. Hover over the blog post, email, or page using the template to insert the CTA, then click Edit. If the template is being used by other content, a dialog box will alert you that other pages are using this template. 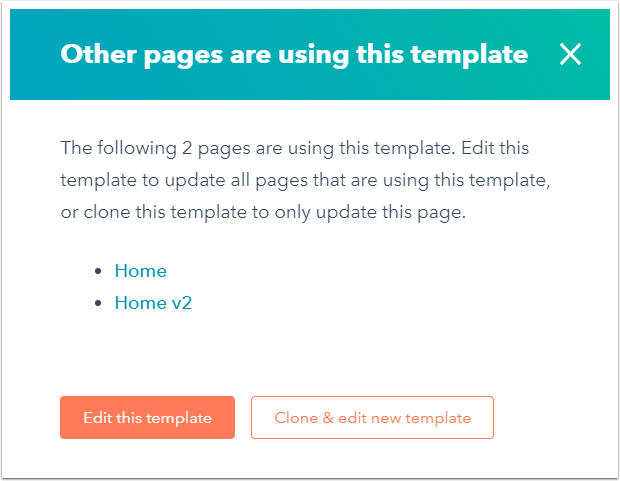 Click Edit this template to update all pages that are using the template, or click Clone & edit new template if you don't want to affect other pages using this template. 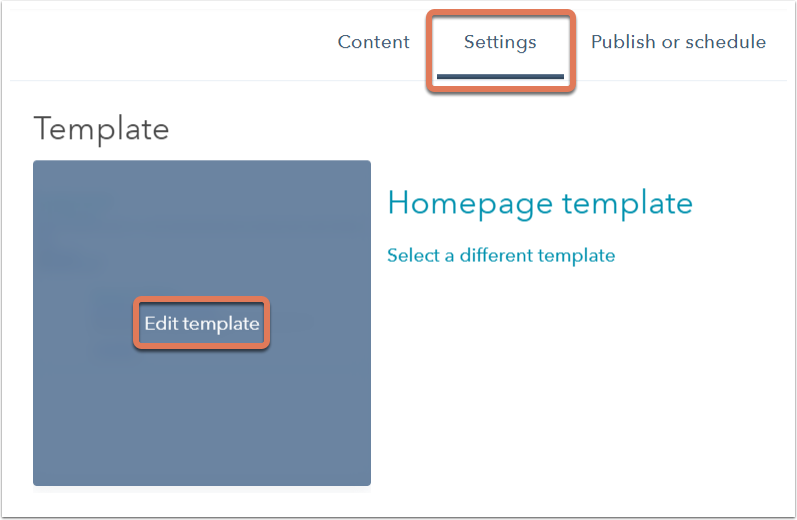 In the template, add your CTA to the CTA module or rich text module of your choice, or create a new module to insert the CTA in. Click the module in the layout editor. In the module inspector on the right, locate the Default content section. CTA module: click the CTA dropdown menu and select the CTA. Rich text module: hover over and click the rich text content preview. 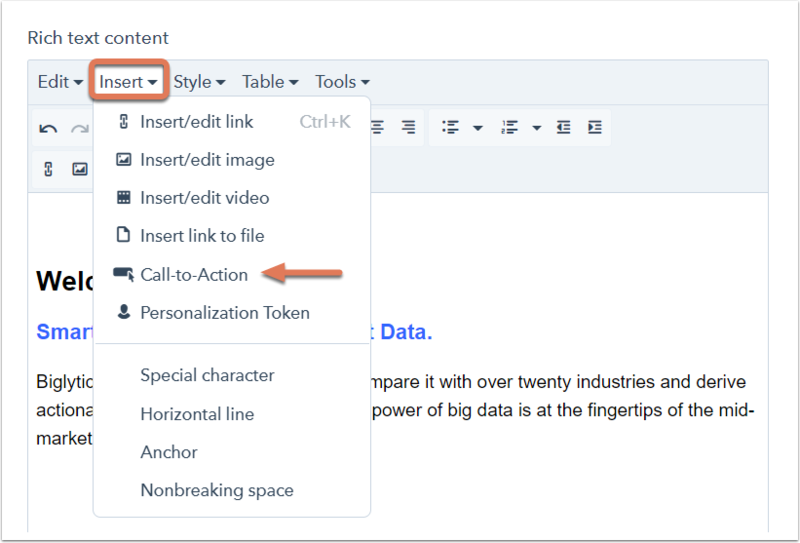 In the rich text content editor, place your cursor at the location to place the CTA, then click Insert > Call-to-Action in the rich text toolbar. In the right pane, select the CTA, then click Insert. In the upper right, click Publish changes to take the changes live on the template.